If you want to splash out on a linen suit and a room with a view, dress for dinner or swagger over retro cocktails on a time-warp terrace then Lake Como is the place for you. 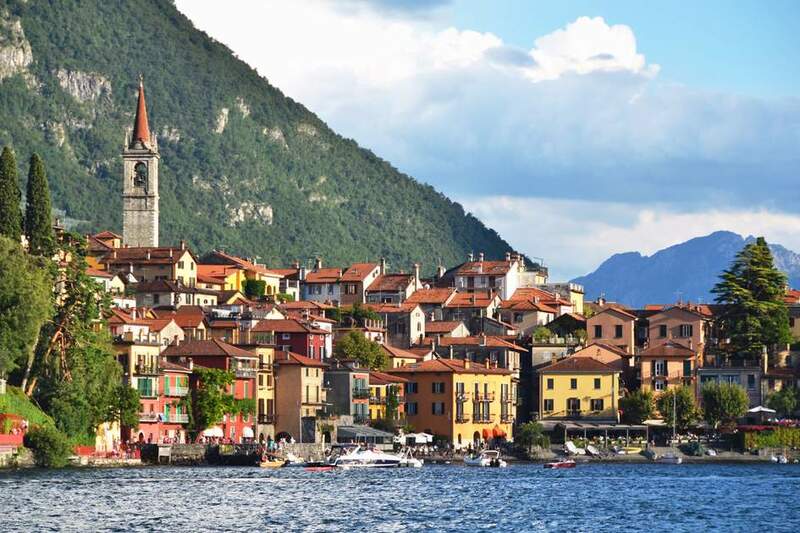 Bellagio is a litany of lakeside clichés but unmissable; see it from water level by kayaking across the lake from Pescallo harbor to Varenna with Bellagio Water Sports. Varenna is the lake’s most engaging village, shaded by pines and plane trees but less picture-postcard perfect than Bellagio. Also visit Villa Carlotta. Here, the glory of the gardens is the interplay between villa and the water, with the changing colors and perspectives provided by the seasonal displays. The meeting of the Mediterranean and Alpine climates makes for an extraordinary exoticism, reflected in the range of planting; camellias, azaleas, Kashmiri cypresses, Amazonian water lilies, Japanese maples, African palms and Chinese bamboo will all enchant. 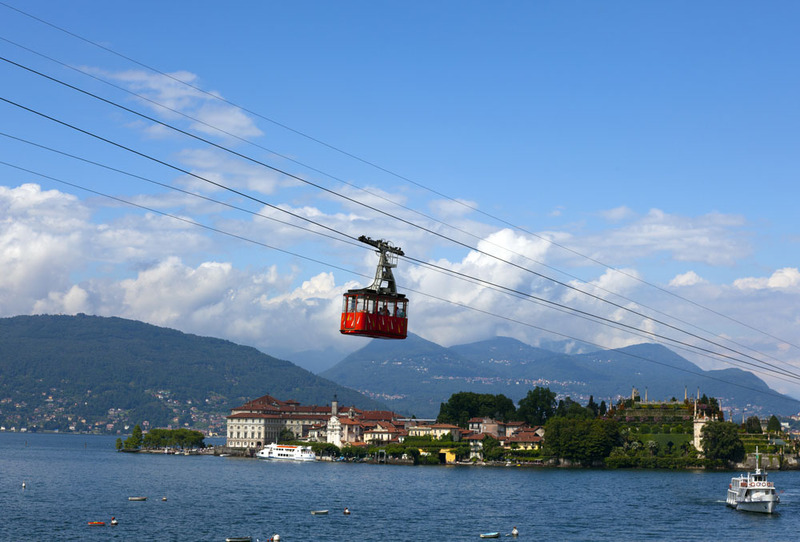 Lake Maggiore is one of the more domesticated lakes and can feel very primped and proper, with the surrounding areas taking influence from its proximity to Switzerland. The best way of visiting the lake is chugging around on steamers, calling in at scenic castles, gracious villas and waterside culinary inns, which you can experience for yourself. Stresa is the grande dame of lakeside resorts. 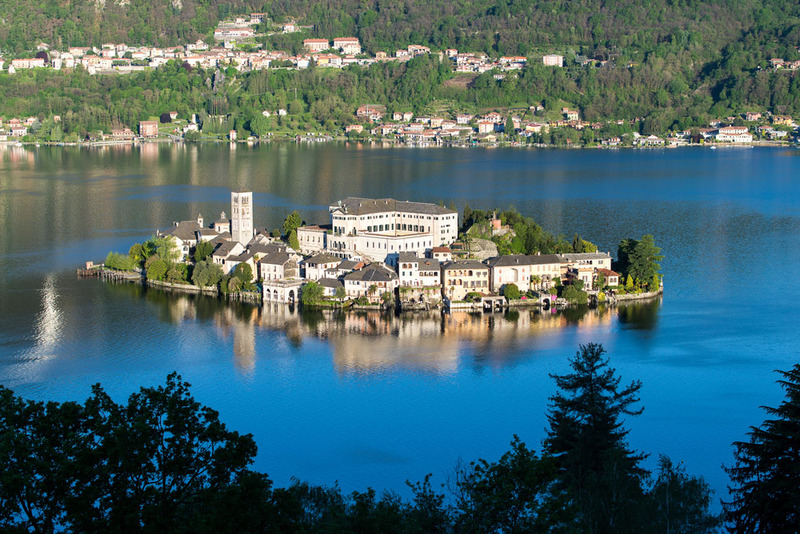 Now a touch faded, Stresa is still dotted with Belle époque villas and is the resort closest to the glorious Borromean Islands, while Isola Madre’s floating botanical garden feels very romantic – a riot of haphazard planting. Isola Bella, just across the water, revels in Baroque theatricality, with dramatic architectural perspectives accentuated by grandiose urns, obelisks, fountains and statues. “One can’t describe the beauty of the Italian lakes, nor would one try if one could”, wrote Henry James, on first catching sight of Lake Maggiore. Such outpourings of purple prose – particularly from writers fleeing northern climes – are part of the lakes’ legacy. The peak of Monte Mottarone separates Lake Maggiore from Lago d’Orta to the west. For all its popularity, Lake Orta has retained its mystique; Orta San Giulio, a particularly beautiful spot, evokes the shimmering timelessness of the lakes. The medieval village is set snugly on a peninsula, providing a discreet resort distinguished by its chic hotels, soft light and air of spirituality. This seemingly enchanted isle was supposedly overrun by serpents and dragons until AD 390 when Giulio, a Christian preacher, banished them and built the basilica in celebration. From here, friendly boatmen guide visitors to the island of San Giulio, which is built around a Benedictine retreat. A lakeside path winds round the sanctuary, with Buddhist-like signs directing visitors to “the path within”. Go alone or with someone you love. Don’t forget, our local experts can plan, organize and book your entire holiday to the Italian Lakes from scratch. Simply call today to begin creating your next adventure. Just east of Bergamo, Lake Iseo is the least self-consciously quaint of the great northern lakes. I love its authenticity, which is the antithesis of the celebrity lifestyle. Lake Iseo’s soft, smoky, vine-clad landscapes even find their way into the backdrops of Leonardo da Vinci’s paintings. The lake may lack breathtaking villas but the dramatic vistas, gentle pace of life, and fine food and wine are temptation enough. Unlike the Mediterranean climate of the larger lakes, Lake Iseo is Alpine, with olives and horse chestnuts rather than lemon groves and palms. The greatest lure of Lake Iseo is the forested island of Monte Isola, which lends itself to leisurely strolls and waterside lunches. Baked tench is always on the menu. Just off the lake, Iseo’s Franciacortaarea is foodie heaven, a civilized stretch of wine estates, castles, Cluniac monasteries and gourmet inns. Mostly owned by Milanese industrialists with taste, these vineyards are rightly famous in Italy. The Champagne-style sparkling wines often surpass famous French brands and are the best in Italy, only rivaled by Trentodoc sparkling wines just north of Lake Garda. Lake Garda is the largest, most diverse lake and can be anything you want it to be. To me, the lake feels like a Mediterranean hot-house in northern climes. The charm lingers on in the profusion of olive and lemon groves, and in the resorts dotted with palms and oleanders. The western shore has the greatest appeal for nostalgics. Resorts such as Gargnano, Gardone, Salo and Limone are historical oddities in charming settings. 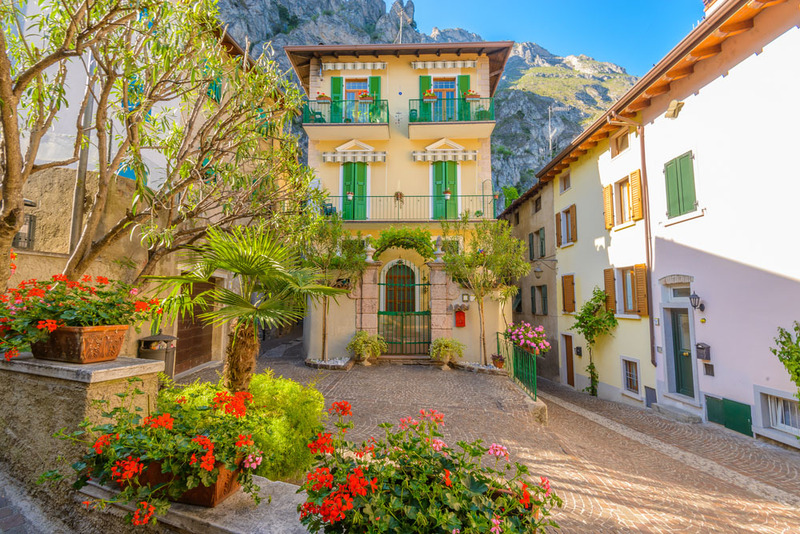 Lake Garda’s villas have lured such luminaries as Byron and D. H. Lawrence, who lamented a way of life that was passing, with the shift from plucking lemons to plucking tourists. Lawrence adored Limone, overlooking “a lake as beautiful as the beginning of creation”. This was also Winston Churchill’s favored resort, and where he dabbled in watercolors. Vladimir Nabokov preferred grander Gardone Riviera. This dowager resort contains the most memorable villa on the lake. Il Vittoriale, shaped by a megalomaniac soldier-poet to his precise tastes, will leave you reeling, not from the romance but from D’Annunzio’s warped poetic sensibility. This is untamed Italy, not the country colonized by pizza, pasta and arty package tours. Just beyond the shores of Lake Garda soar the jagged pinkish peaks of the Dolomites, creating the illusion of the Mediterranean meeting the mountains. From Lake Garda, it is tempting to slip north for a day in Dolomites, now a UNESCO World Heritage site. The Dolomites have inspired the Dalai Lama, Pope John Paul II and Reinhold Messner, the legendary mountaineer who came from these parts. Le Corbusier described the Dolomites as the most beautiful natural architecture in the world. Leslie Stephen, a pioneering mountaineer and father of Virginia Woolf, likened the characteristic Brenta Dolomites to Sir Christopher Wren’s St Paul’s Cathedral. The locals are good advertisements for this rugged Alpine lifestyle. Even if you’re sporty, expect to be overtaken by wizened Trentino pensioners on a gentle summer’s stroll.